Space comes at a premium in our tightly packed suburban homes in northern New Jersey. 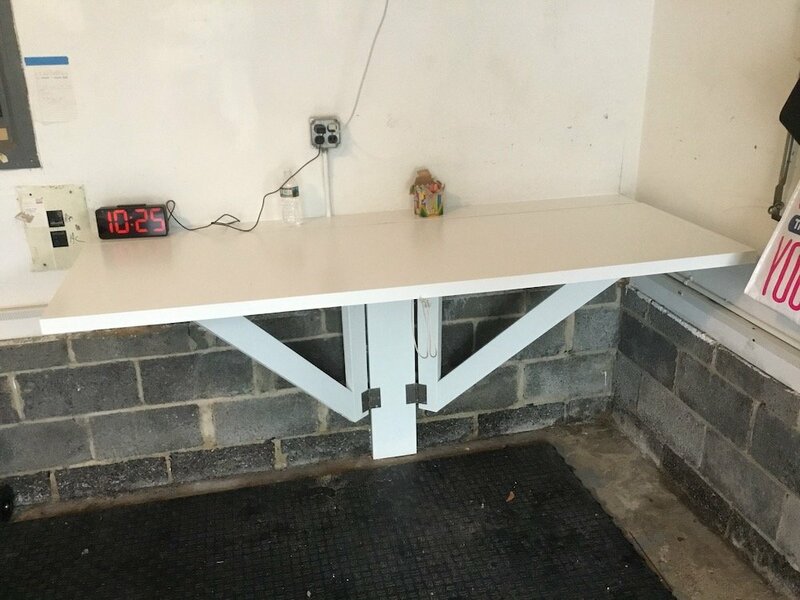 This Madison, NJ homeowner desired a workspace in his garage. However, he didn’t want to give up the ability to park his car in the garage. He did some research online and found a foldable workbench table that he wanted us to recreate. 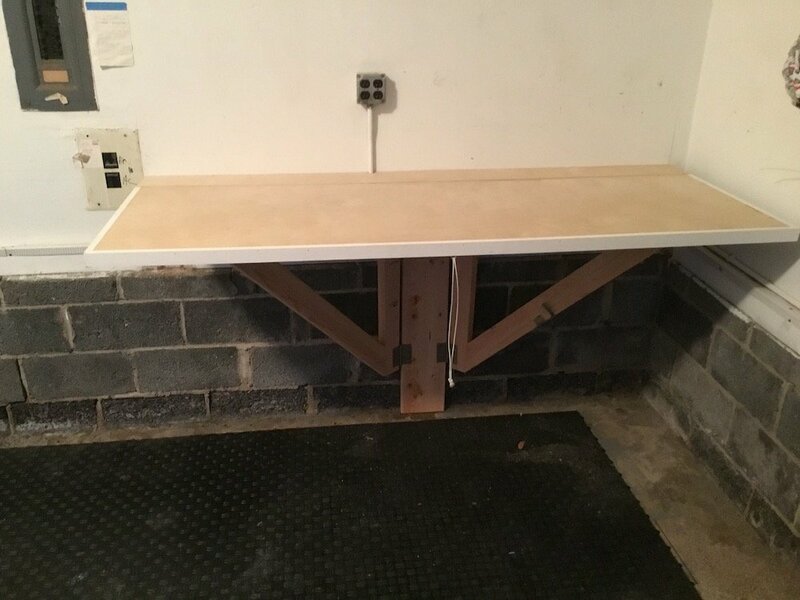 Our carpenters built and installed a foldable workbench to perfectly suit his needs. The homeowner discussed his vision with our carpenters. 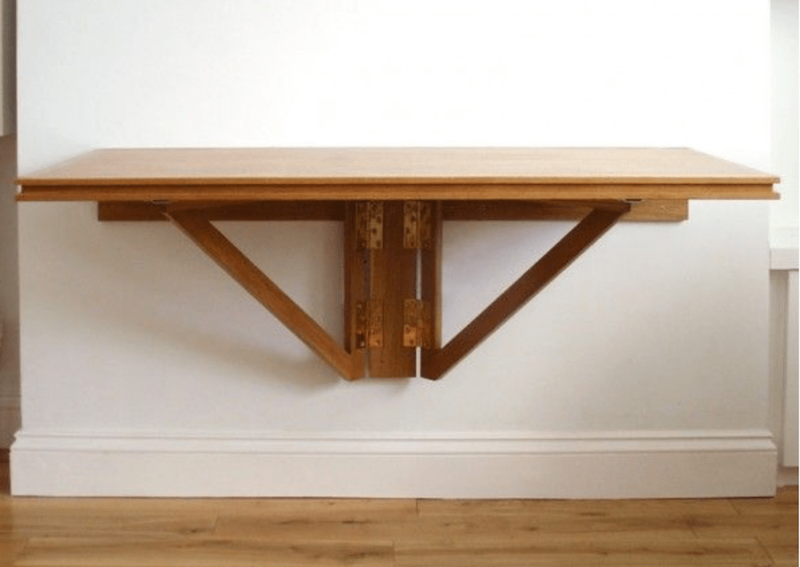 He wanted a table that would be securely built into the garage, and act like a drop-leaf. It needed to lay flat when not in use. This would maximize the available garage space. After being briefed, the carpenters got to work securing the necessary materials. 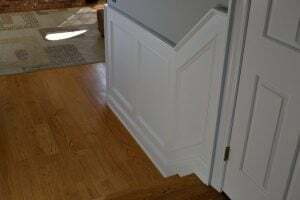 in addition to the wood, the carpenters also purchased spring-loaded hinges to best allow for easy creation and collapsing of the table. 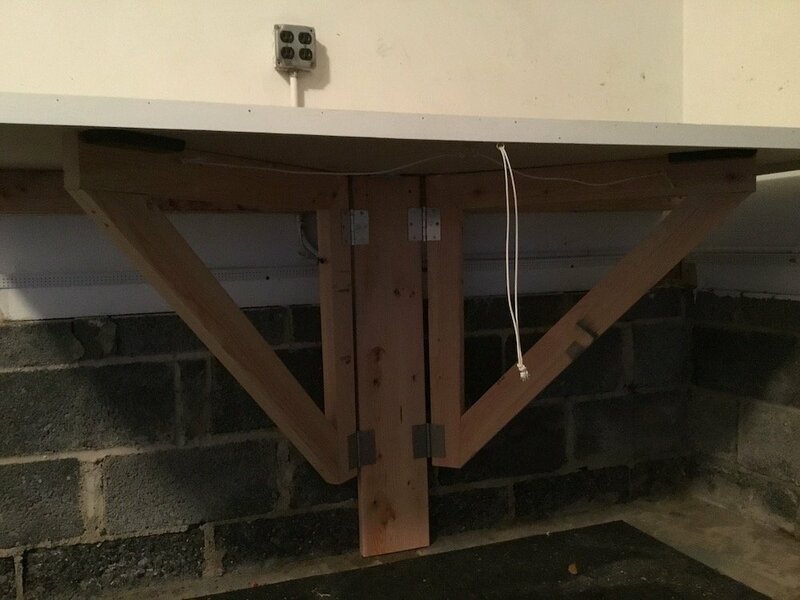 Carpenters created the table and support brackets and securely attached the unit to the garage wall. They also added a rope pull to the table to facilitate lifting and lowering the table top. Afterwards, we primed and painted the table white. A narrow shelf is always horizontal and holds a few items. The remainder of the table top is secured vertically until it is needed. 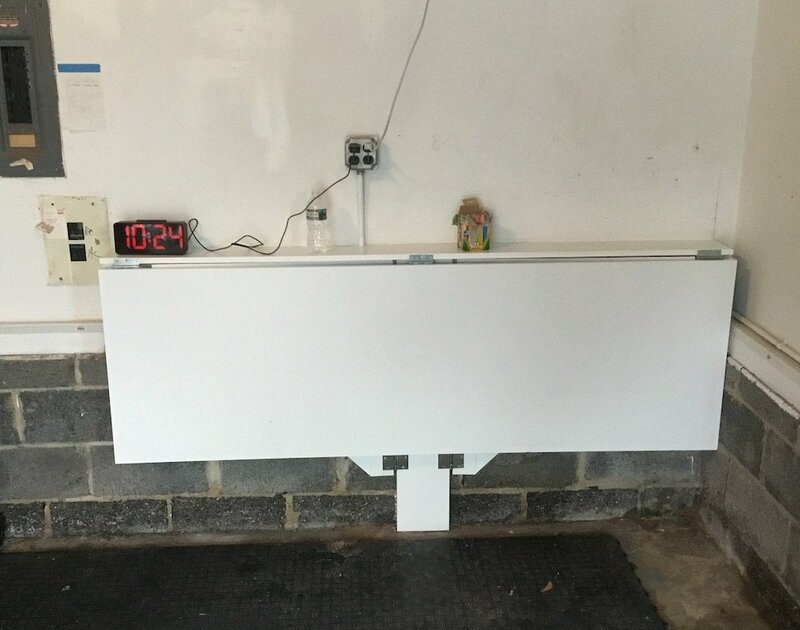 These homeowners now have the foldable workbench they envisioned, in a size built specifically to fit their space.